I believe in the healing power of pizza. If you live in, or near, Rajouri, you’re in luck since one of the best makers of pizza has moved to your hood. 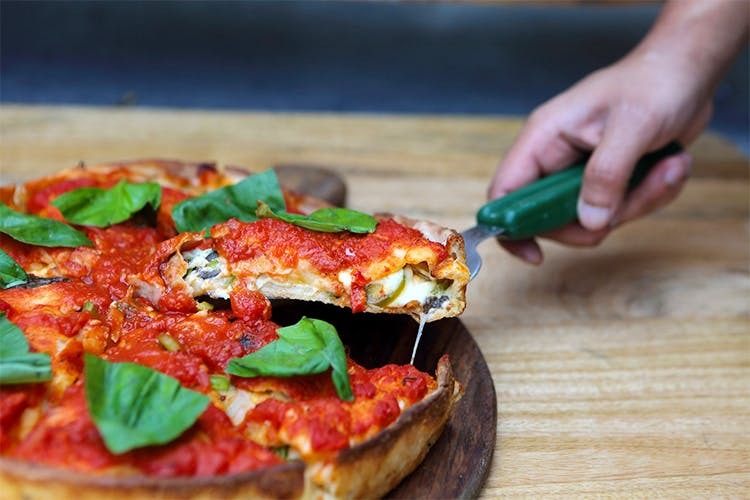 Instapizza’s Monster Deep-Dish pizzas have helped when nothing else could, and if you have the case of the blues, diving mouth first into a giant pizza is perhaps the best remedy for you. With this move, Instapizza has spread to almost all corners of Delhi, and has now established themselves as one of the therapists for the curing-sadness-with-food kind of people. The toppings remain almost endless, as does our hunger for pizza and offered discounts! Instapizza's Monster Deep Dish Pizza Is The Eighth Wonder Of The World!